So since we have a new puppy, I’ve been looking for ways to keep her busy. I was at Krisers this weekend, talking to the girls there getting advice on things for our dogs to chew on, keep busy, etc. 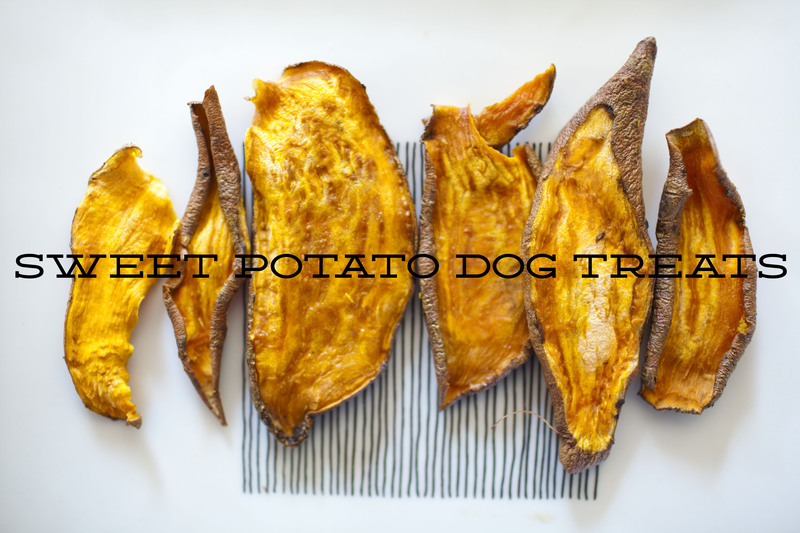 She showed me these dehydrated sweet potato treats. They wanted $20 for about 12 of them. They were thicker and denser than the ones pictured here, but it made me thinking that I could probably make something simliar on my own, for a fraction of that price! So i went home and sliced up 2 sweet potatoes. I rubbed them with olive oil and baked them at 175 for a total of about 8 hours. I did it for four hours, went to bed, and left them in the oven (with the oven turned off) and then woke up and baked them for about 4 hours more. You definitely want to keep your eye on these. It all depends on how thick you cut your sweet potato. Mine were a little on the thicker side (maybe about 1/4 inch) but i bet if you used a mandolin slicer you would not have to bake so long. These were a hit with both our dogs. And its an all natural-treat, so they are guilt free! 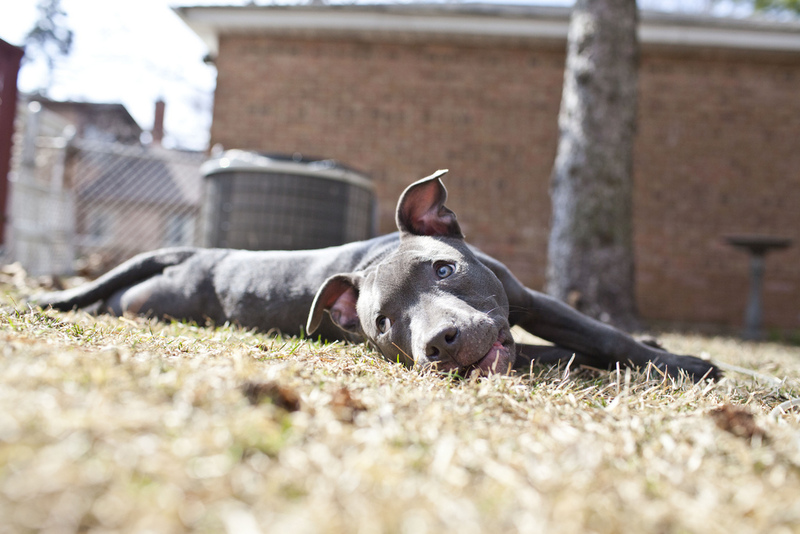 She is mainly the reason for my delay in postings…We got a new puppy a few weeks ago….Miss stella stinky pants! we’ve been spending alot of time with her and sticking around home when we can getting the yard ready for spring. I’m also running my first 5K in June, so i have been running when I have some free time – I’m headed to California next week, but when I return I hope to be back with lots of new things to create and share with you! Milo’s birthday is around the corner, and its super-hero themed, so there are a few DIY projects I have been working on for that… Hope you are enjoying your spring so far! 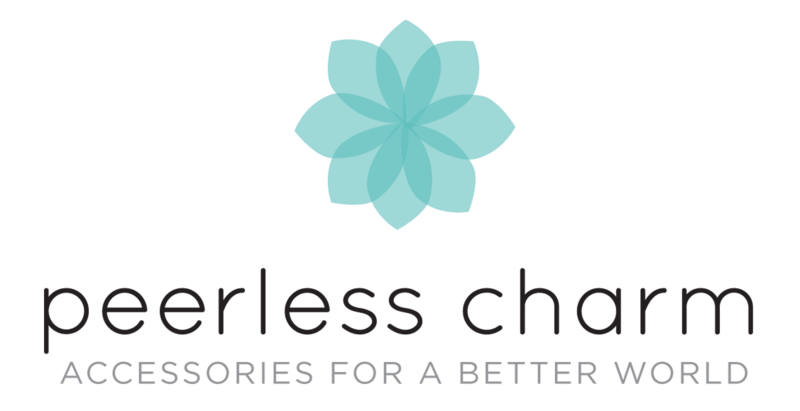 I was asked by Lauren of Peerless charm to come up with a new logo. Lauren is a jewelry designer who creates ethically sourced jewelry for socially concious women. I’ve watched her business progress and I was honored she asked me to redesign her identity. I’m also thrilled that she has taken this more ethical approach to her business and stands up for what she believes in. Her old logo included a flower, and used the turquoise color. She didn’t really have many requests or limitations on what I could do – just to keep the color pallete the same. This is the concept she chose and I think its a nice, clean update on what she previously had. So take a peek around her site, follow her blog, and consider her jewelry next time you are in the market for something new! I feel like I know ALOT of pregnant people as of late. 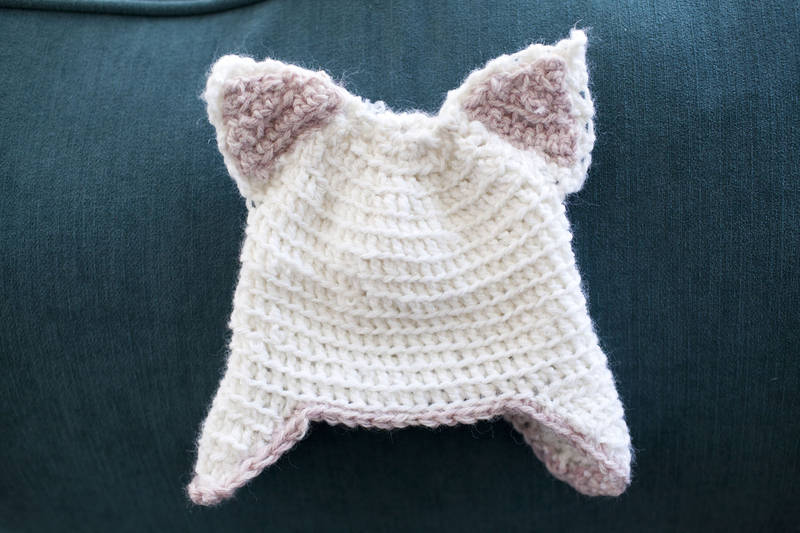 So i got a head start on some baby gifts and crocheted this adorable little kitty hat in no time, plus I needed a break from blankets. (sorry granny stripe) The pattern is found here and its really easy to do! Pretty sure I’m going to need to do a boy version too. I didn’t use very much yarn, maybe a 1/4 of a skein? So this is a great project to use up random balls of yarn colors. Get to it! I’ve said it before, but something about the holidays (especially easter!) makes me want to make pie. 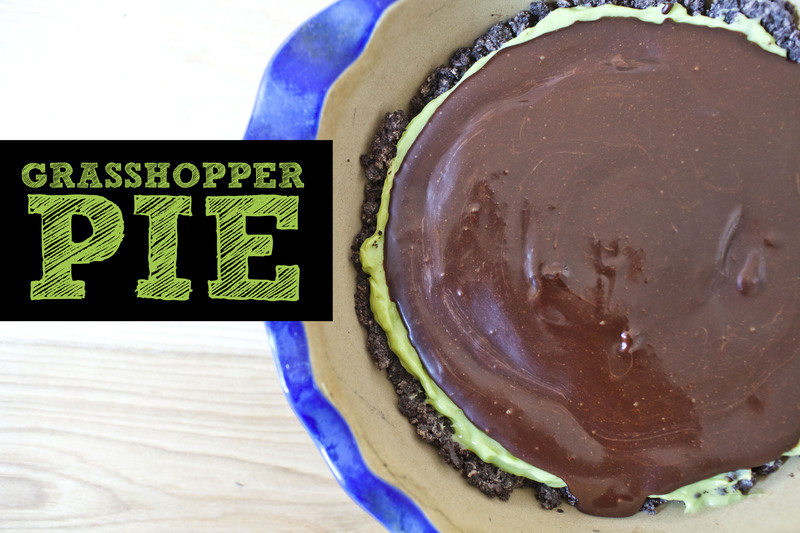 Last year I made a delicious chocolate pie; and this year its this frozen grasshopper pie (found here). This pie is crazy good. and its made with avocados and marshmallows. Yep. Avocado and marshmallows. Dont knock it. Try it and you’ll see how crazy good it is. Begin by combining the cookie crumbs and melted margarine in a large bowl, and stir well until there are no dry spots. Transfer this mixture to a 9-inch round pie tin, and use your fingers to press it evenly across the bottom and up the sides. Place the crust in your freezer until firm, at least 30 minutes. Meanwhile, you can start preparing the filling. Puree your avocado using a blender or food processor, along with the lemon juice and soymilk. Scrape down the sides of the bowl periodically ensure you have no lumps of avocado. Set aside. I keep mine frozen, take out of freezer for 5-10 minutes and then serve. In a small saucepan, heat up soymilk until its a rolling boil; remove from heat and stir in the chocolate chips and syrup. Top pie with it, and put back in the freezer to cool. * I made my pie, and put in the freezer for about 2 hours, then made the ganache, topped the pie with it and put it back in the freezer for another 2 -3 hours before serving.